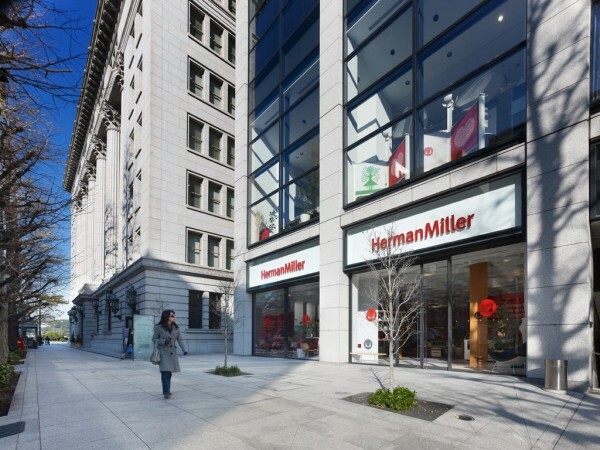 The world's first HermanMiller Store was designed with the general public in mind to promote wider brand awareness where they showcase products by renowned designers George Nelson and Charles & Ray Eames. Based on the Marunouchi site and its immediate environment, we proposed a store that can be enjoyed with same lightheartedness as a park. 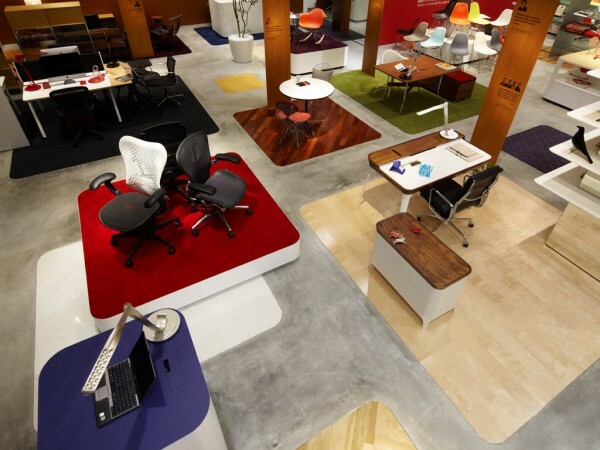 A great variety of materials cover the floor like a fun spread out picnic blanket giving color to the surrounding space and allowing customers to consider various situations in which they use the products by moving them around. 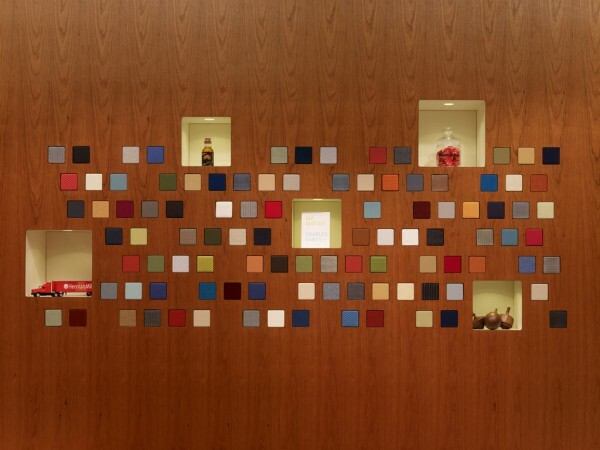 We thought that mixing and matching the furniture with the different floor materials spread out like an open sample book can offer a new point of view on them. 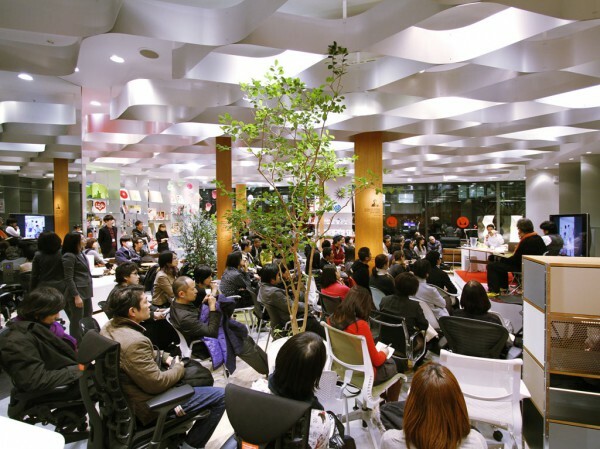 Mobile furnishings that appear to rise from the floor make it easy to change the store layout and can be used as a stage during events or seminars. 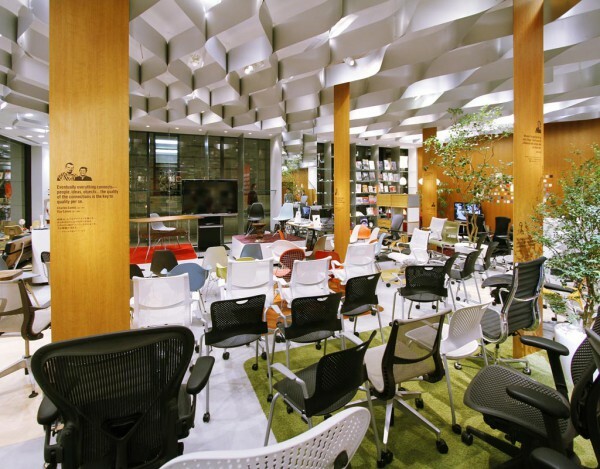 An aluminum frame was used to tone down the existing ceiling's strong presence, like a tree canopy providing shade. 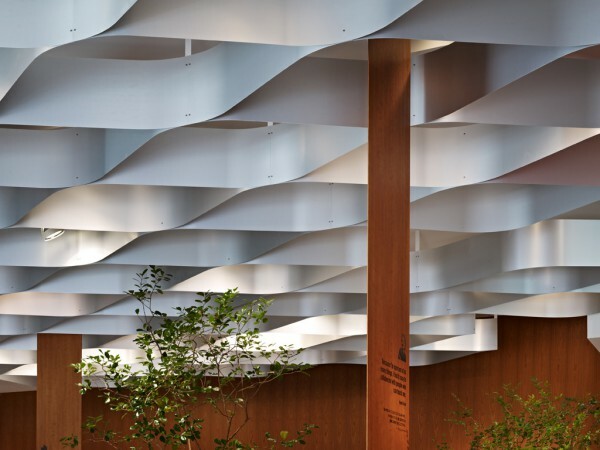 Its curved aluminum lattices reflect light with a varying expression, creating a heterogeneous natural light environment. Closely spaced rows of fins facing different directions reveal in turn brand concepts or explicative graphics by collaborating designers. 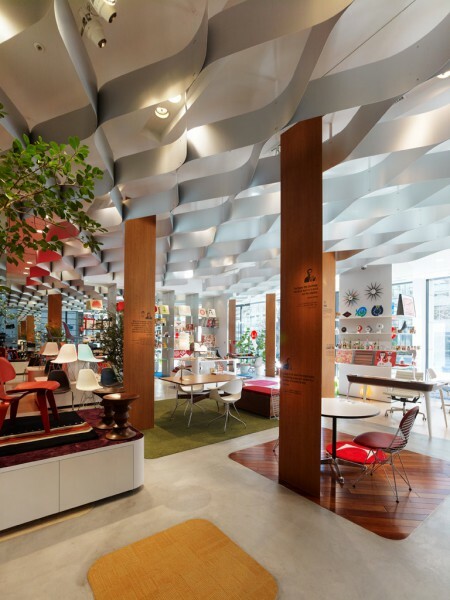 These fins and the symbol tree at the center gently partition space, offering a walk-in-the-park experience. Like a park that allows many different uses every day, the store layout can easily be changed through this flexible system to create a fresh impression on customers every time they visit it. 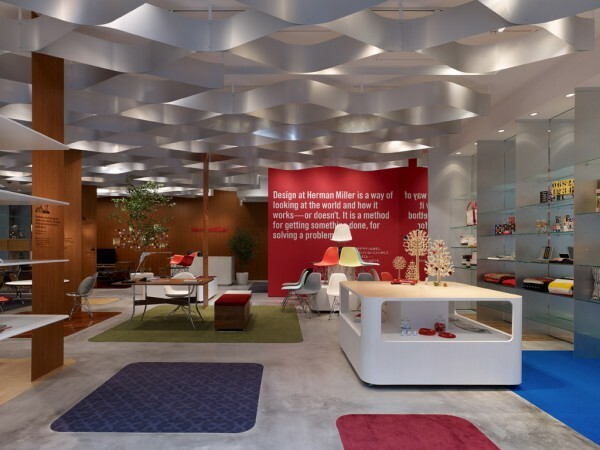 We envisioned a flagship store designed to hold events that can communicate a perpetually renewing image while incorporating HermanMiller's heritage.